KRAGUJEVAC -- After several announcements and unsuccessful attempts, Zastava has finally begun exporting cars to Croatia. Zastava 10 cars, produced in co-operation with Fiat, found their first Croatian buyers in February, Zagreb daily Večernji List reported. According to a Croatian market research agency, 5,806 new cars were sold throughout Croatia in February alone, from 37 different manufacturers, including Zastava. 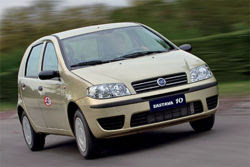 Zastava cars is the best-selling car brand in Serbia, with a market share of 27.58 percent and 735 cars sold in January. Renault scored second with 235 sold vehicles, while Škoda came third.